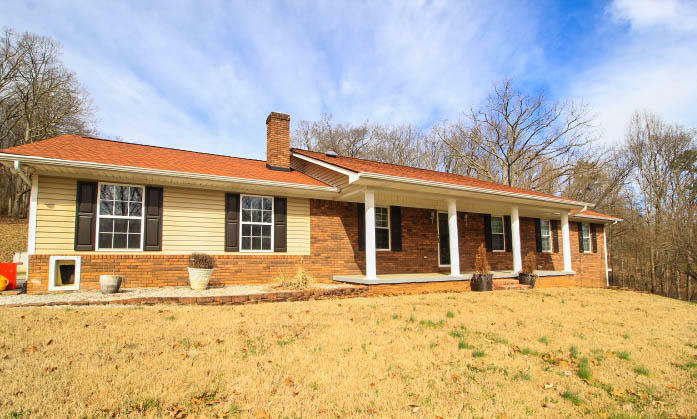 2 Homes + acreage + barn with 2 horse stalls and tack room. Tons of privacy and gorgeous views! The main houses kitchen is a gourmet cook's dream with some floating cabinets, Miele stove, water filtration system, cappucino maker, granite counter tops. Even the laundry room has granite! Built in wall ironing board, sink & cabinets in laundry. Sunroom is both heated & cooled looks out onto a water feature in back yard. The main level bath has a step in, jetted tub & a separate tiled shower. Full two car garage plus a carport. Large den with we bar and fp makes a great area for entertaining. Main house with 3566SF, 2nd house with 750SF offers 1 br/1.5ba and open living room/kitchen area. 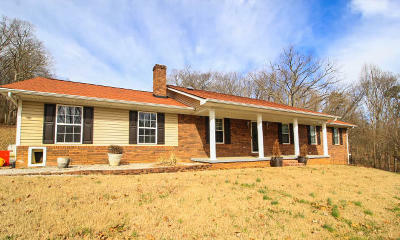 The barn has electric, water, 2 stalls, tack room and lots of room for storage!